In the same event, India's Amee Kamani won the Asian Women's Snooker title by blanking her Thai opponent Siripaporn Nuanthakhamjan. 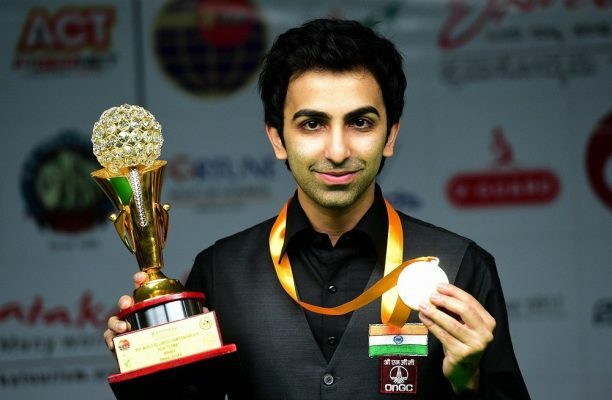 New Delhi: The legend of Pankaj Advani grew bigger and had no competition in 2018 when India’s finest cueist completed a grand double by winning the world billiards crown in the point and time format, extending his tally to a staggering 21. The 33-year-old kept churning out world titles, proving that his game was getting better with age and there was a long way to go before his hunger for trophies could be satiated. While Advani won the world championship in the point format for the third straight year in the edition that took place in Myanmar in November, he secured the time format trophy for the first time since 2015. Advani, among the few who juggles smoothly between billiards and snooker, also lifted a major snooker trophy this year after he and Manan Chandra staged a dramatic recovery to beat Pakistan in the world team championship, which was held in Doha in March. The duo was down 0-2 in the final before pulling off a sensational victory. The Bengaluru-based cueist was expectedly pleased with his performance in another productive year. “Considering I didn’t play in too many tournaments this year, 2018 was superb especially in billiards – winning the nationals, Asian and World (point as well as time format) – making it a clean sweep,” Advani told PTI. “In snooker, lifting the World Team Cup along with Manan was special as it was my first major team trophy. And then the Asian Tour victory in China was a new addition to my trophy cabinet,” he added. An ardent fan of tennis great Roger Federer, Advani has no plans to retire and remains as motivated as ever. “Next year there are going to be many events. However, my focus will initially be to qualify for the international tournaments in snooker. As usual, the main challenge will be to strike a healthy balance between billiards and snooker so that I give myself a chance to excel and hopefully win in both versions of cue sport,” he said. Advani also won the Asian billiards title for the seventh time, beating practice partner B Bhaskar in the final. He had gone into the tournament as the defending champion and ended up winning the trophy for the second year in a row. In the same event, India’s Amee Kamani won the Asian Women’s Snooker title by blanking her Thai opponent Siripaporn Nuanthakhamjan. In the overall tally of world championships, Advani won as many as eight billiards finals in the time format and six in the shorter version with half of them coming in the last three years. He is also a three-time world snooker champion and two-time winner of the six-red format. After bagging a grand billiards double in November, he was in no mood to stop as he ended the year with an unfinished break of 1092 to win the ECA Raman Nair Billiards in Bengaluru in December. In his own words, it was a “magical way” to end 2018.